I’ve had a week to reflect on the IPI Conference & Expo held in New Orleans. 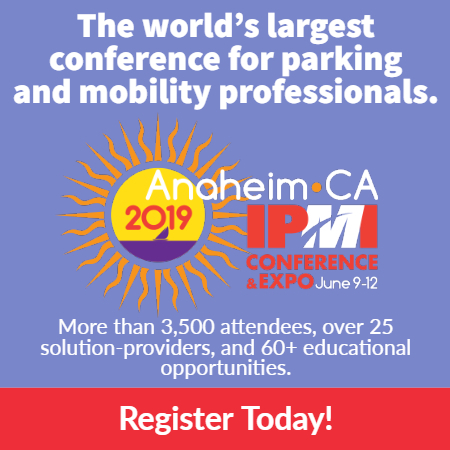 As a former university parking director, the IPI Conference was always a time of professional renewal. After all these years, it still has that same effect on me. My first IPI Conference was 25 years ago and I attended as a member for the next 22 years. Now, I attend as IPI staff and my responsibilities include assisting with the education sessions, which gives me the opportunity to poke my head in the doors. 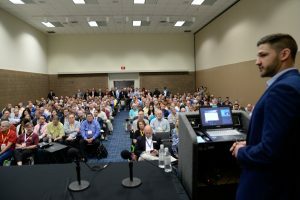 Even on day one in New Orleans, many of the rooms were near capacity, with a few quickly reaching standing-room-only status (seating capacity was the same as or greater than last year). We’re hungry for industry knowledge and we know where to find it. It’s no secret that IPI has long been the industry go-to for professional development. It’s our membership that helps to determine the relevant industry topics as well as the presenters that can best address them. The quality of the education program at conference is peerless, thought-provoking, and top notch. The observations offered from so many attendees addressed the value of the sessions and the specific topics presented by the speakers and panels. Valuable lessons; great takeaways. Attendees are prepared and dedicated. They’re doing their homework and determining which presentations will bring the most applicable value. A few times during the Conference, I saw representatives from a single agency briefly meet up in the hallway between sessions before splitting up to attend different offerings during the same hour. Their intent was to bring back as much new information as possible to share with their larger team back home. Whether as a regular member or a member of Team IPI, I have always found Conference educational sessions to be informative, interesting, and helpful. This year was no different. As a self-admitted parking geek, I honestly cannot wait to see what will be on the educational agenda in Orlando next year. You are not a parking geek, Cindy Campbell…you are a Parking Godess! And also a pretty cool human.